Flickr / In 2016, we saw VR technology breaking out like a wild fire in different industries. From brand promotions to enhancing game experiences, VR took off seamlessly moving well into the millions. Rather than brands dedicating their entire advertising budgets to virtual reality, there is a trend for a slice of this budget being used for branded content within VR as a means to extend campaigns rather than a standalone activity. There was also a trend for more 360° content as a mass market tool rather than headset content. But in the last quarter of 2016, this has shifted to VR as more consumers purchase headsets. It is anticipated that in 2017, there will be a wave of 360° content making an appearance as brands take the virtual reality plunge. Advertisers seek to make their content available on every single device i.e. platform agnostic. Platforms and companies such as Oculus and HTC vive/Steam, Google, Samsung, PlayStation etc. are still figuring out their strategy with regard to content. Sometimes they seek to have exclusive content and other times they look to make their content available on all devices. The best solution for industry growth seems to be to develop apps that are distributable on all platforms. Having an open standard is the way forward. VR has the unique capability of transporting anyone using a virtual reality headset into a whole new world and it’s this immersive experience that’s exciting advertisers, brands and allows for active engagement with the consumer. AR has been around for a while and the technology is slower to develop because of its complexity. 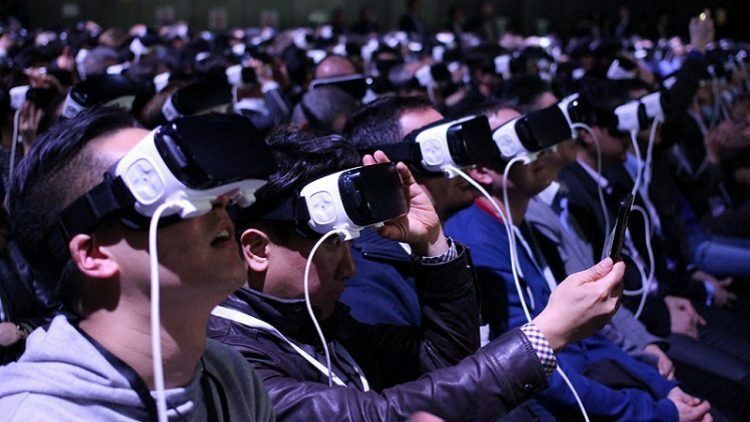 Yet there is a high likelihood that it will become bigger than VR because it has many more day-to-day uses and is ideal for interactions between brands and consumers so it should therefore remain heavily on the radar of advertisers and developers. There is a content drought at present but this is set to change in 2017 with a lot of quality content being produced. According to IDC, worldwide shipments of AR and VR headsets will reach 76 million units in 2020. The majority of these units will be sold in China. With such a market size, it is clear there will need to be a library of material to satisfy these VR/AR content thirsty consumers. This covers advertising, documentaries, movies, series, online shopping, education, and more. The content opportunities are endless; especially if it can be provide a customizable experience. By 2019, we can expect Chinese consumers to drive the global VR content market.